How sHould i prepare for my ULTRASOUND APPOINTMENT? Drink plenty of WATER (128 oz a day), preferably starting 2 weeks prior to your appointment, but at least 4 days before the appointment to ensure your amniotic fluid is clear and at optimal levels for ultrasound. 2D/3D/4D or HDlive ultrasound technology for keepsake imaging of your baby is a waste of money and DOES NOT work well if you do not drink enough water. WHY water? Water hydrates you and your body then increases the amount of amniotic fluid. This is the fluid needed and used to render your images. The more amniotic fluid in the sac, the clearer the images tend to be, regardless of which way baby is facing. Increased amniotic fluid, helps push the placenta off of the baby’s face. You DO NOT need a full bladder; unless your pregnancy is very advanced and the fetal head is very low in the pelvis. You may eat at any time. Again, you MUST drink the normal 128 ozs of water a day for a minimum of 4 full days leading up to your appointment time. Positions of baby you cannot control, but you are the sole person that determines the CLARITY of your images. What is the difference between 2D, 3D, and 4D imaging? 2D, 3D, and 4D are trademarked terminology used in the industry to distinguish the different types of ultrasound pictures and videos that can be provided. 2D ultrasounds are the traditional black and white ultrasounds you have probably seen before. The pictures show the skeletal structure (outline) of the baby. This is the type of ultrasound that was probably used for your diagnostic ultrasound. It is still the best technology for gathering measurements of the baby and ensuring that the baby is developing as expected. 3D shows the tissue of the baby, which is more like real pictures. We can see the roundness of the baby's face, the shape of the nose and the contours of the lips. The color is actually not the color of the baby but is computer enhanced to make the pictures more appealing. 4D shows the tissue of the baby as the baby is moving. This will provide moving clips of your baby in action. The 4D video clips of your baby are pretty much 3D pictures—but in motion. Do I need to see a doctor before I visit Precious Faces In 3D, LLC? Yes. You are required to visit a doctor and have a diagnostic medical ultrasound of your fetus prior to visiting our office. Our services are purely for entertainment. We provide only non-diagnostic ultrasounds. A diagnostic medical ultrasound exam with your physician will determine the proper development of the fetus and check for any anomalies. We want to be assured that you are being seen by a licensed physician and getting the proper testing done for you and your baby. What is the difference between an elective ultrasound and a diagnostic ultrasound ordered by my medical doctor? You are choosing this ultrasound with us because you want to, not because you have to. We offer 2D, 3D & 4D "elective" prenatal ultrasounds to provide a positive bonding experience for the mother, father and family members and your friends, to see your unborn baby. These elective ultrasound services provide a connection between the parents and baby, that can be beneficial to the entire family. We make no claims that our elective ultrasound services are performed to assess the baby for physical abnormalities. You must certify in writing upon your arrival at our suite, that you will see, or have seen a medical practitioner to provide you with diagnostic medical ultrasound services. Routine diagnostic medical ultrasound examinations should be ordered by your medical provider and performed by an accredited facility, to assess the gestational age of the fetus and to evaluate for fetal anomalies as well as the basic components of fetal anatomy recommended for screening. Can you provide measurements of the baby? Since we currently only perform elective ultrasounds and not diagnostics, we will not perform measurements for "elective" ultrasunds. We recommend that you come with comfortable loose clothing or even leggings. Jeans are very difficult to work with, especially since the baby’s head may be down. You will NOT have to disrobe, your elective ultrasound service is ALWAYS an external ultrasound so only your belly will be exposed. Who performs the elective Ultrasounds in your ultrasound studio? All of our Sonographers are trained and experienced in performing 2D/3D/4D and HD Live ultrasounds. They are all ARDMS board certified who have taken the didactic and clinical training programs for performing safe obstetrical ultrasounds. Our Sonographers have extensive 3D/4D ultrasound experience in getting the best possible images for you and your family. To better serve you, appointments are necessary for all of our services. You are booked based on the amount of time you want to spend with baby. We need to know in advance if you need a 10 min or 15 min 2D session or a 30 min long 3D/4D session. We do not allow you to extend your session at the last minute because the next expecting mom will be waiting for her time slot directly after yours. We have a wait list, so for that same reason, you may not downgrade your package last minute. Please be aware, you are paying to see whatever baby is showing you live in his/her environment during your session. At 14 weeks we can determine the gender with a very high accuracy. We can't however guarantee that the baby will cooperate during your session. Certain factors such as body tissue content, developmental stage and fetal position all affect the ability to determine gender. If we are unable to determine this, we will bring you back at no charge to try again. If you plan on having only one 3D/4D ultrasound, we would recommend scheduling your appointment to take place between the 26th and 34th week of the pregnancy. However, excellent images of your baby can be obtained any time after about 22 weeks of pregnancy and up until your baby's birth. Many mothers choose to have more than one 3D/4D ultrasound and have images to enjoy from their second and third trimesters. 23-26 weeks: Baby's facial features are starting to be defined and you can see more of the baby at once. 27-32 weeks: This is a good time for your second 3D ultrasound or if you are only going to come in for one session during your pregnancy. Baby's facial features are more defined and the baby still has room to move around. However, because baby is getting larger, you won't see quite as much of him/her at once as you would earlier. 33-36 weeks: A great time for beautiful facial shots if baby cooperates. Please be aware that increased crowding in the womb does make it more challenging to get specific pictures. Usually, but not always. Sometimes if the baby is persistently looking face down, i.e. towards your spine it may be difficult to see the baby's face. If this happens, a repeat scan will usually succeed because the baby has turned to a favorable position. We make no promises that the images will be similar to those you might have seen elsewhere or even from our studio, or that we can always meet everyone's expectations. Every baby scans differently, depending on its gestational age, position, amount of fluid, placenta location, location of body parts that may interfere with views of the face and mommy's body type will also determine the quality of the ultrasound scan. High abdominal body fat may limit the desired optimal images. We promise to make every effort to obtain the best possible images of whatever parts of the baby that can be seen. When do I get the items in the package that i ordered ? 5-15 minutes after your session has ended. Yes. In fact, please invite family and friends to attend the elective 2D/3D/4D ultrasound session. This is a joyous and wonderful experience, one that can be shared with your family and loved ones. We can accommodate up to 15 guests seated and many more standing. Is the 3D/4D ultrasound covered by my Medical Insurance? At this point, medical insurance does not cover the costs of our elective ultrasounds. Since this is an elective procedure and is not intended to be a replacement for your doctor ordered ultrasound, you will need to pay the cost of this ultrasound as an out of pocket expense.  Our client's enjoy complimentary WiFi Access while in our Ultrasound Suite. You, and your family and friends will enjoy watching your baby on our large screen 75" HDTV.